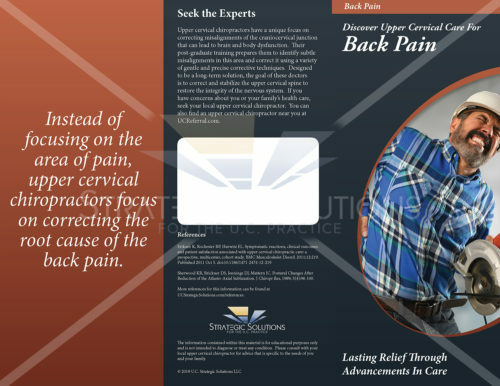 Trifold brochure with a sharp design, premium quality and high resolution colorful graphics depicting the effects of turbulent or blocked CSF from a craniocervical junction misalignment. 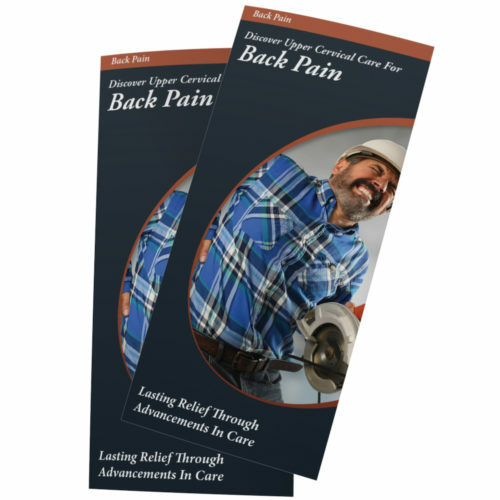 A patient-oriented brochure focused on explaining the purpose and basic function of the CSF. 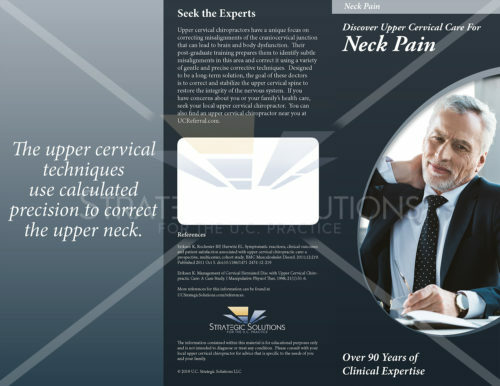 This brochure also describes the complications that a craniocervical misalignment has on the CSF flow and the long term health of the brain.The anatomical depiction helps to define the terms used within the text. 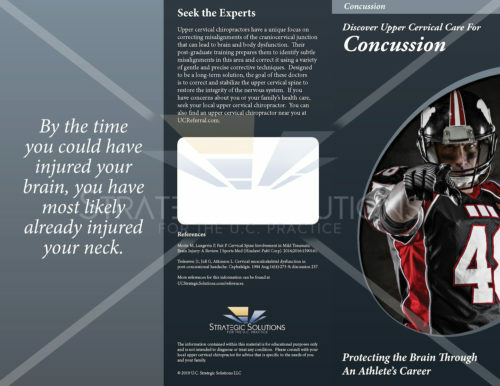 “The brain is surrounded by a protective fluid called cerebral spinal fluid (CSF). 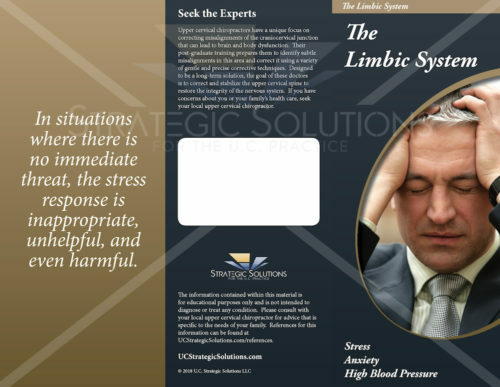 This fluid is very important to brain function and brain protection. 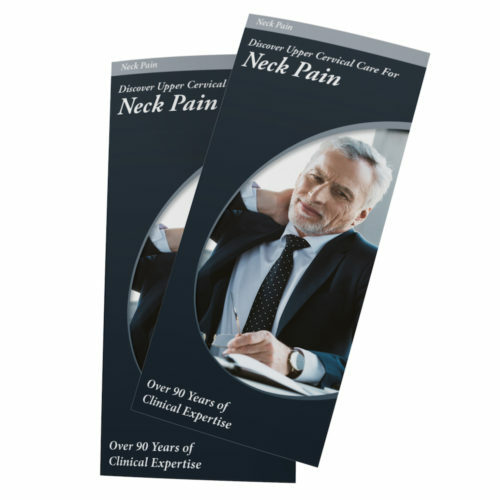 This CSF provides protection from shock such as falls and head injuries. 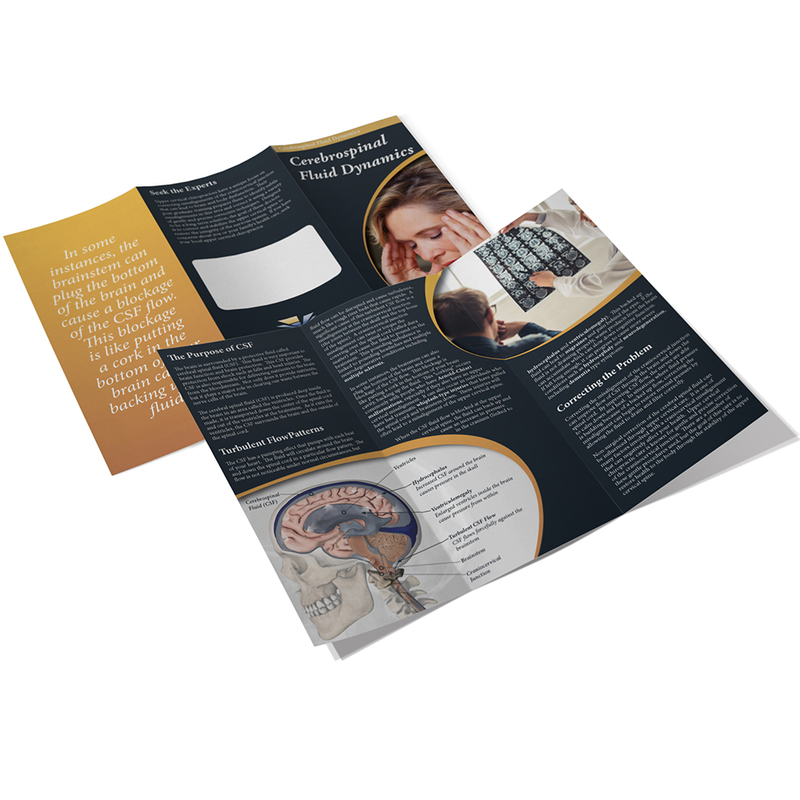 The CSF is also responsible for delivering nutrients to the brain from the bloodstream. 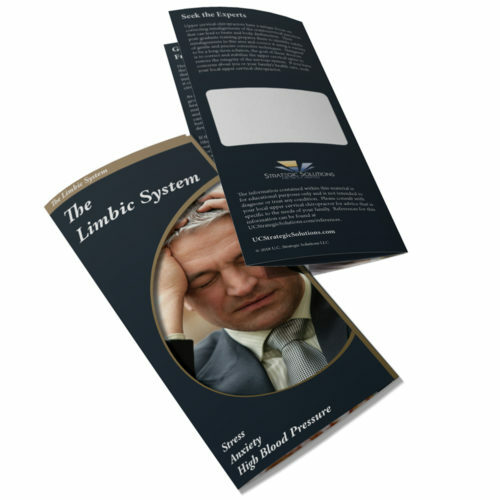 Not only does it provide nutrients, but it plays a major role in clearing our waste between the nerve cells of the brain. 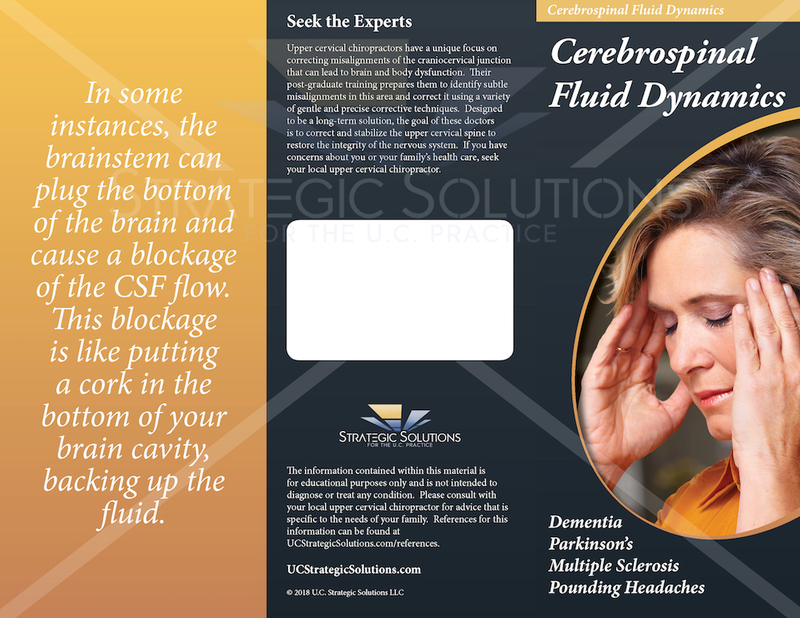 The cerebral spinal fluid (CSF) is produced deep inside the brain in an area called the ventricles. 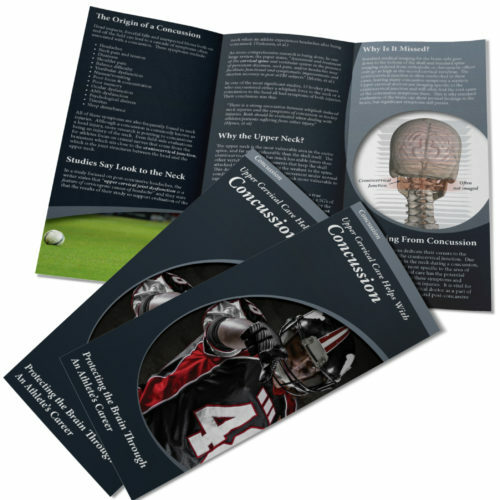 Once the fluid is made, it is transported down the center of the spinal cord and out of the ventricles at the brainstem. 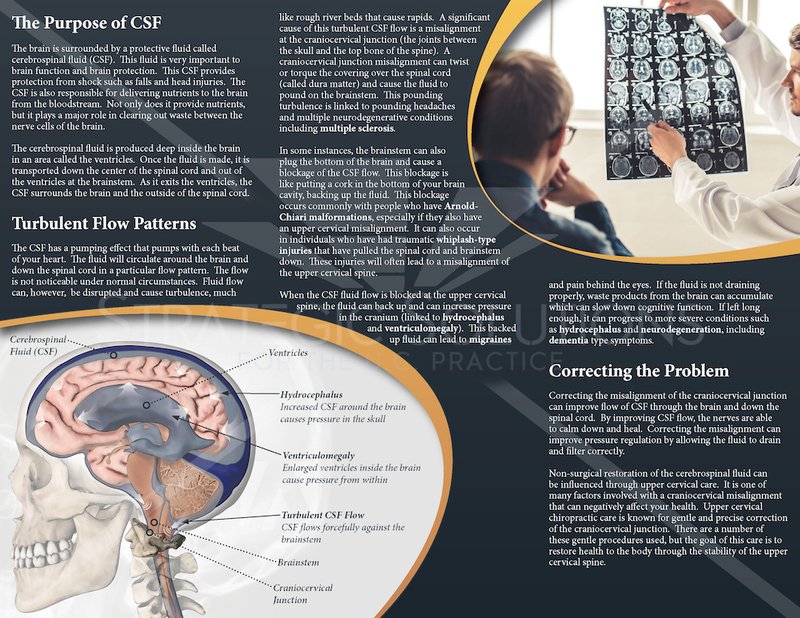 As it exits the ventricles, the CSF surrounds the brain and the outside of the spinal cord.